McDonald's recently acquired Tel Aviv tech startup Dynamic Yield, proving to rival fast-food chains and to the world that it is at the top of its game when it comes to the fast food market. For years, McDonald's has evolved with the times. With the simple implementation of the drive-through in the 1950s to make it more efficient for private car owners to get food on the go, the fast food giant has evolved in many ways possible. Automated drive-throughs, touch-screen menus, automated ordering systems, and more, there seems to be no end in McDonalds’ innovation and evolution as more and more new technology becomes available. For the company in question, Dynamic Yield advertises itself as a company that gives you a system that provides consumers with “decision logic” that is algorithmically driven. This means that not only are the preferences of the customer is considered, but multiple factors as well, such as the weather, the time of day, the temperature, etc. Dynamic Yield’s partnership with McDonalds’ could prove to be beneficial, as it could lead the fast food giant to greater heights while garnering attention for Dynamic Yield’s system. For years, the formula of McDonalds’ ordering system has remained the same. By providing options on an overhead menu for the customers, they are able to freely customize and personalize their orders as much as they want. With the help of Dynamic Yield’s new system and innovation, however, customers need not worry about what to order since the system analyzes it for you. Taking into account ordering habits and preferences of individuals mean that Dynamic Yield’s system can create the perfect order for you, even before you step up to the counter. Given the trend in technology, if this innovative system is used in conjunction with automated production systems that McDonald's has interest in doing, it could make for a more efficient consumer experience and faster production rates. Not only that, customers now feel as though McDonalds’ services are more user-oriented, prompting them to go to their local McDonalds more often. This innovation is a new step for McDonald's, given that Dynamic Yield is outside its market scope. However, this choice of collaborating with Dynamic Yield could give McDonald's an edge over their other competitors. A lot of industries and corporations would believe McDonald's to stay within the food industry, leaving the tech industry and market alone. However, McDonald's investing in a tech partnership is like a curveball being thrown towards competitors in the food market. This move shows that McDonald's understands how the landscape is changing and proves that they are unafraid to take risks in order to succeed even more. What does this mean for the future of the fast food giant? Given that the technology McDonald's acquired grants them the capacity to understand their consumers more, it will probably lead to a more immersive and consumer-oriented experience for future releases. McDonald's will probably release a product that works well with the personalization that the technology offers, like a burger that you can modify on every level. Given McDonalds’ courage in investing in technology, we may even see AI and Augmented Reality being integrated into the mix very soon. Because of this big power move by McDonald's,’ it has made the future very difficult to predict, with the only thing being clear is the fact that they would most likely succeed. 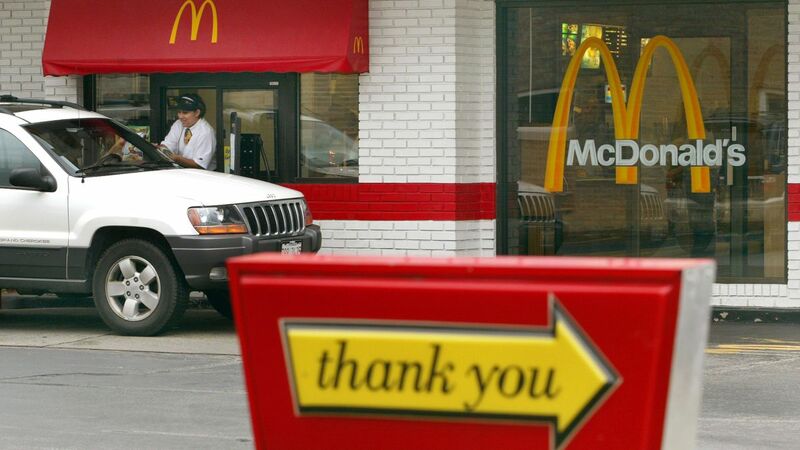 More and more fast food chains may invest in technology similar to McDonald's. The personalized consumer experience may be carried over to other fast food companies as well. However, one thing is for sure. McDonald's has been, and will always be, a trendsetter when it comes to the industry and market of fast food.